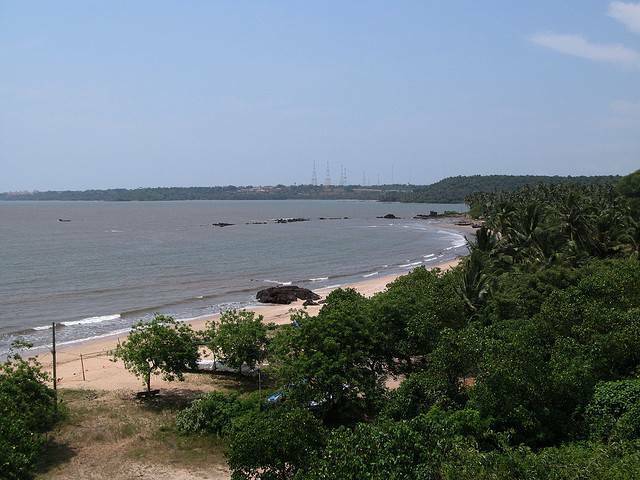 Situated just a few kilometers away from Panjim, Siridao Beach is a hot spot for the fanciful souls and the passionate explorers. With its rocky topography, the place is also very picturesque and therefore a favorite with experimenting photographers. Have you ever tried to get up early in the morning to pick up shells. Well, here the crazy number of varieties and mad profusion of shells on the beach will make your head reel with pleasure. Don't blame yourself if you start acting like a child. There is a gorgeous chapel near Siridao beach called the Jesus of Nazareth. It smells of Goa's Portuguese past and if you are luck to come here during Easter, you are most welcome to partake of the fantabulous feast organized here. You would also love to pay your respects at the beautiful Holy Souls Chapel built in 1973. When you enter the village, you will be able to see three statues playing the musical instrument. It somehow reminds me of Mr. Tumnus from the Chronicles of Narnia. Did i forget the fanciful souls? They might be interested to visit the caves of Siridao. You never know what all adventures ‘Paulist' might have had here. Paulist is said to be an enormous creature much like a man, or a cave man to be precise. He is said to have lived in this village. This beach is an enigma. Surrounded in mystery and adorned with amazing natural sights, Siridao is a must-visit.